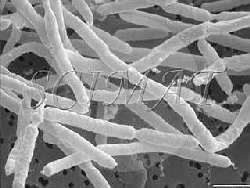 Yersinia enterocolitica bacteria are in the form of small rod-shaped, Gram-negative cells, often isolated from clinical specimens such as wounds, feces, sputum and mesenteric lymph nodes. However, they are not part of the normal human flora. Yersinia enterocolitica are an enteric pathogen with distinctive clinical manifestations, a range of outcomes, and a predilection for children. Infectious enteritis, also called colitis caused by Yersinia enterocolitica, shows symptoms similar to appendicitis. The bacteria are ubiquitous, frequently found in soil, water, animals, and a variety of foods - they can grow even at refrigeration temperatures. They are hazardous as foodborne pathogens because they are highly infectious and are present in many sources, for example, raw milk and cream, meat and meat products, oysters, vegetables, fish, and poultry. They have also been isolated from well water, streams, lakes, and soil. There was an incidence of epidemic Yersinia enterocolitica infection due to contaminated chocolate milk. 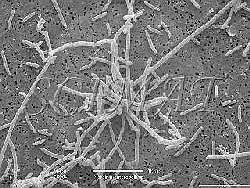 Yersinia enterocolitica infection is a protean disease. Gastrointestinal symptoms are the most frequent and many patients seek medical attention for persistent fever, night sweats, or secondary features of the disease. At this stage of the disease, Yersinia could not be isolated from stools. Can enteritis or colitis caused by Yersinia enterocolitis, also called yersiniosis, be prevented? Yes, the following site features extensive information on prevention. professor of food science at the University of Manitoba in Winnipeg, Manitoba, Canada.